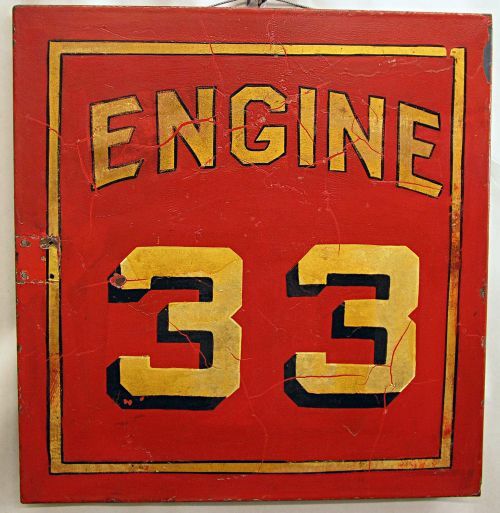 Worcester Massachusetts Fire Engine 33 steel door.Old red painted surface with gold leaf letters and numbers. 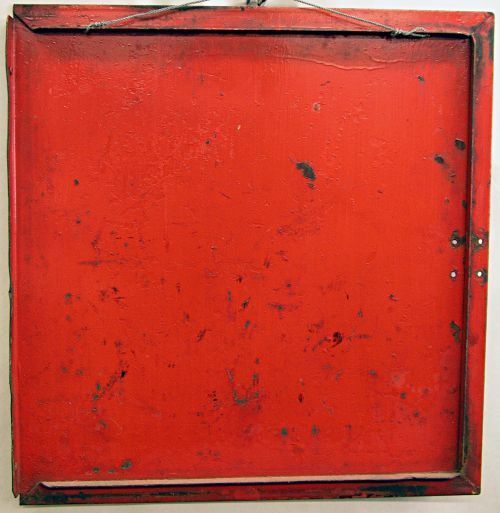 Vintage fire engine steel door in wonderful small size perfect for hanging. 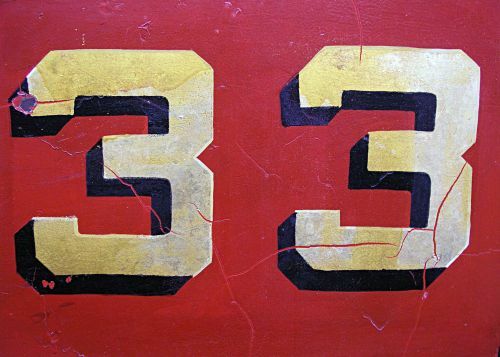 Dimensions: Measures 18" X 19" X 1"